The Federal University Oye-Ekiti, FUOYE supplementary admission list (UTME and Direct Entry) for the 2016/2017 academic session is out. All the candidates that participated in the Federal University Oye-Ekiti (FUOYE) 2016/2017 admission screening exercise but are yet to be admitted are advised to check their admission status from the newly released supplementary admission list. For UTME candidates, click here to check your admission status. For DE candidates, click here to check your admission status. 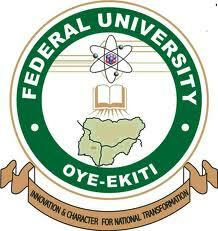 I congratulate all the UTME and Direct Entry candidates that made it to Federal University Oye-Ekiti (FUOYE).